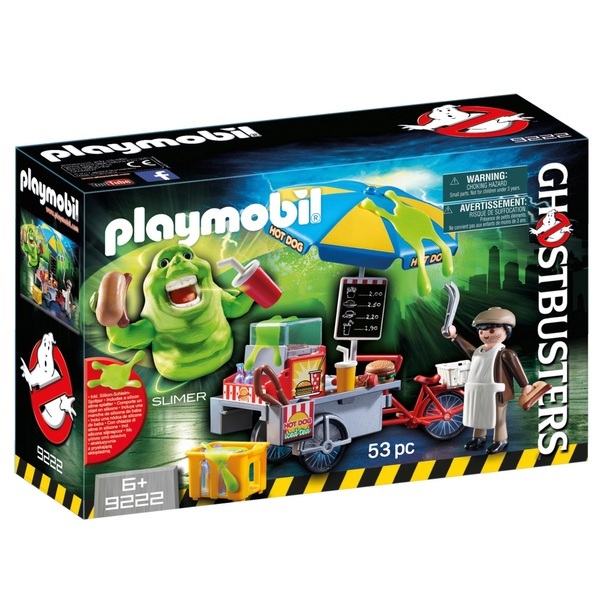 Which ghosts can never be missed in a Ghostbusters scenario? - Slimer! In this Playmobil Ghostbusters Hot Dog Stand 9222 the voracious, green-wobbly slime ghosts is just visiting his favourite hotdog stand, eating one hotdog after the other. Oh no - now everything is full of slime splashes and the stand is empty! Get away quickly, Silmer, before you get into trouble! Ultra slimy: the silicone slime splashes stick on all smooth surfaces.